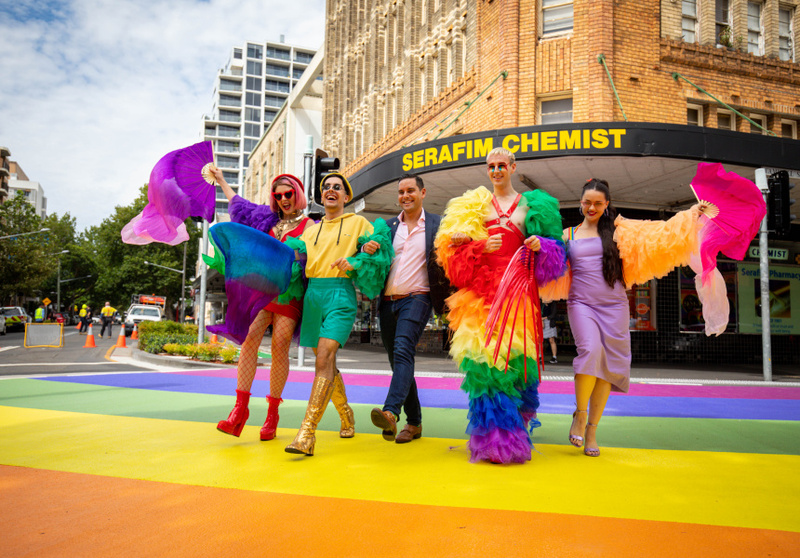 Home | Blog | The Rainbow Crossing Returns To Sydney…Just In Time For Mardi Gras! The colourful symbol is back at Taylor Square ready for this weekend’s festivities. 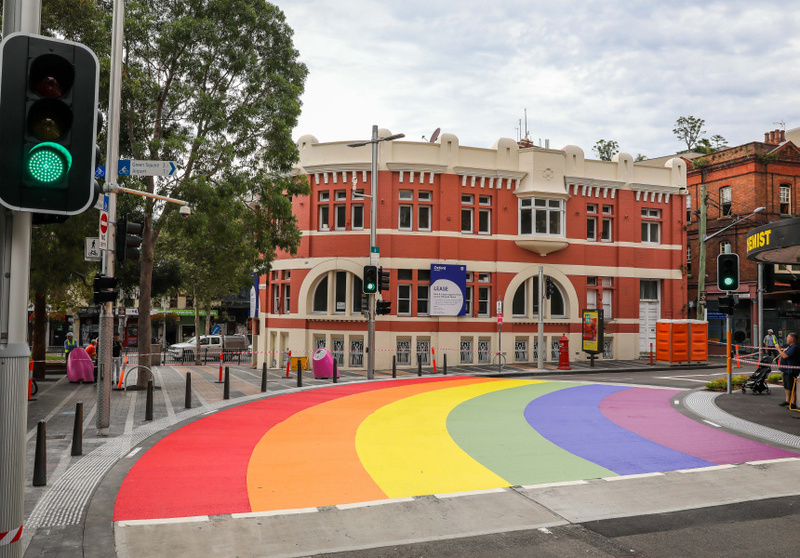 After the controversy surrounding its removal back in 2013, Sydney has a new rainbow crossing just in time for the Gay and Lesbian Mardi Gras parade! Road Minister at the time, Duncan Gay, said that the crossing should be scrapped in the interest of safety, but the local council have won the fight to have a reinstated for this year’s celebrations. Sydney Lord Mayor Clover Moore said that the crossing represented the city’s support of the LGBTQI community. “We believe this may also be the first rainbow crossing in the world that has been painted in a curving rainbow shape,” she said in a statement. “I know residents and visitors will love this colourful symbol of the city’s longstanding support for the LGBTQI community.” The new crossing is more curved than the original version, wrapping itself around the corner of Bourke and Campbell streets at the iconic Taylor Square. It also gives pedestrians complete right of way, with a green light for cars only activated when necessary. 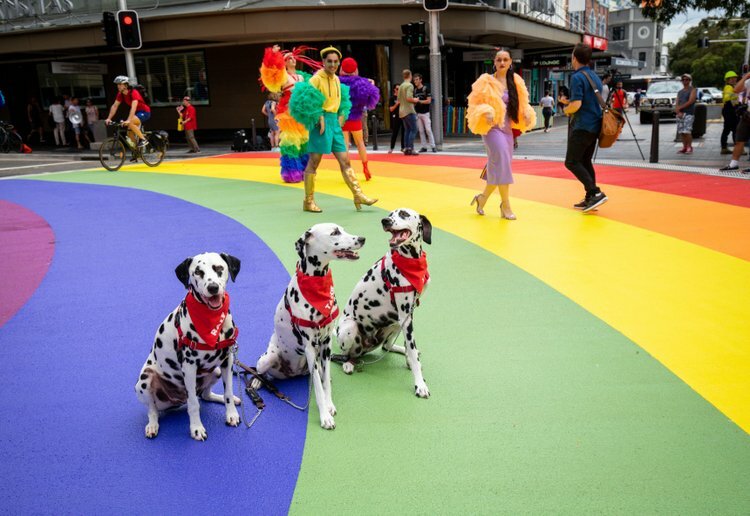 If you’re planning to take the kids along to see the rainbow crossing, perhaps avoid this weekend when streets around the city are closed as thousands descend for the parade – we’re sure it will feature in many an Instagram snap! What do you think of Sydney’s rainbow crossing? Tell us in the comments! Looks bright & happy. We should have more of these around the city in solidarity with the LGBTQI communities. I made the mistake of being in Sydney during Mardi Gras once, never again. Drunk people vomiting in the streets everywhere. Yuck. 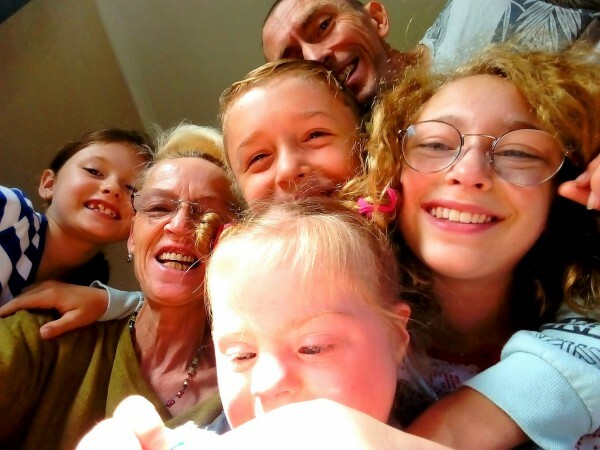 It’s wonderful as a city they are able to support this community and show the world we are evolving and becoming more accepting of one another. That’s beautiful. I think they should keep it like that all year long! A great way to brighten up the area with good meaning behind it. Love the colourful crossing,lets get one for Melbourne! My nephews would love this. They would just think it was a rainbow tho as they are too young to understand the meaning behind it. What a beautiful crossing, love it ! It looks great, and I can’t see what the safety issues would be. Looks good to me and if it makes people smile even better.